Colby Hamilton has been hired at the New York Law Journal to serve as a financial litigation reporter. He is covering white collar crime and Wall Street. Hamilton joins New York Law Journal from POLITICO New York, where he covered the legal system in New York since 2014. Prior to that, he covered city hall for DNAinfo.com and WNYC radio. 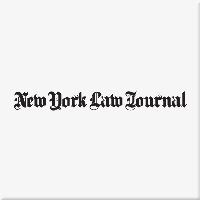 Follow the New York Law Journal on Twitter.